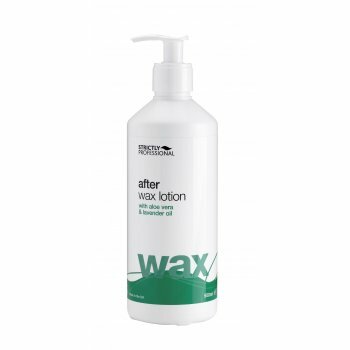 Strictly Professional After Wax Lavender (500ml) is a calming lotion containing aloe vera and lavender oil, designed to soothe and moisturise the skin after waxing. Help clients calm down and relax after hair removal treatment. Smooth to the skin and cooling.